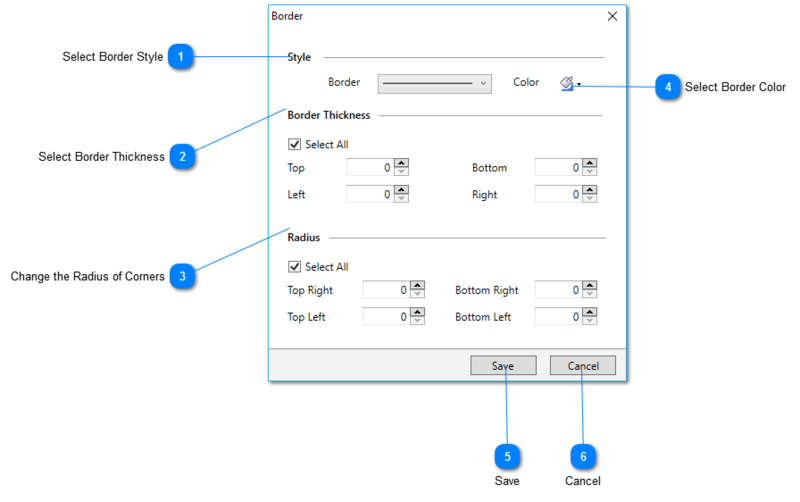 To choose a suitable style of the border. Changes the thickness for all the sides of the border. Uncheck “Select All”, if you want to set different values for each side of the border. Specifies the radius of the corners. Uncheck “Select All”, if you want to set the different values for each side of the border. Modifies the color of the border. Applies the changes you made to the border. Cancels the changes and closes the dialog box.